Yup, that’s my same oven. 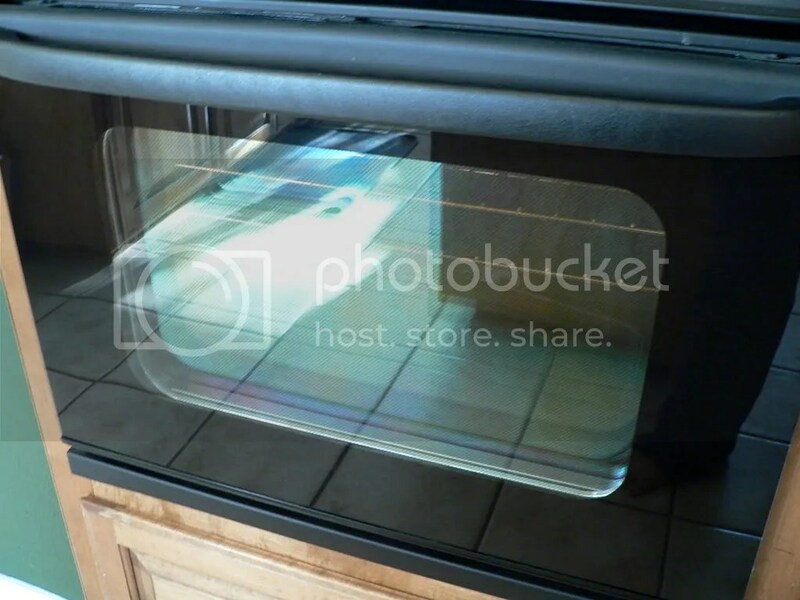 Turns out, we could order a glass kit for around $100, rather than replacing the entire (otherwise still-functioning) oven for $800 or getting my dream double oven for $2-3000. Since we’re trying to be good stewards, only one choice made sense. The good news is that my husband and daughter fixed it this weekend, so my kitchen is reopened for business. A couple big projects I’ve been working on are also finally wrapping up, so I can see out from under the heap I was in last week. I completed the research and writing of my first free-lance article for a local magazine, and my writer’s group put the final touches on the Advent devotional guide we wrote for our church. You’ll be able to walk through the 25-day guide on our writer’s group blog starting December 1. So with all of that writing going on, I got ZERO blogging done. But this week I’m back, so stay tuned for more updates! so glad that they could just replace the glass – which, by the way is what I prayed for! my daughter is a 5th grade teacher – first year – at a Chicago “contract” school in a really rough inner city neighborhood. she went off in the morning (couldn’t get the pictures to post – neither xanga nor blogger was behaving for me – or it’s just not intuitive enough for a computer looser like me) early – a bit of apprehension – and came out in tears because the day was so rough. It’s continued that way so she’s learning many, many adult lessons! looks great!! bet that was a mess getting all of that glass out-so glad your back in business! You have had quite a few busy weeks. So glad you’ll be blogging and cooking again! So glad that your oven is fixed and I am glad that it wasn’t too painful to fix it! I look forward to the advent devotional. Doesn’t it feel good to say you have “put final touches” on something?! Way to keep moving forward with your writing stuff!!! S – That makes so much more sense. I figured she was a teacher, but just wanted to make sure! N- I’m just glad I wasn’t there. A – Phew, it has been busy, and just keeps on, it seems! MEH – It will start Dec 1, and YES! It feels grrrrrreat!